Sunday's Market is from 10-4, featuring the Zen Baker, Local cheese, fruit, veg, meat, charcuterie and so much more including live music. A good place to go before taking in the Belsay Horse Trials which is Saturday and Sunday. Also on the weekend is the Bellingham Bike and Beer Festival featuring bike rides on Saturday and the famous beer fest and music on Sunday all based around the town hall. It will be a great weekend of events. I will be out knocking on doors in Haydon Bridge on Saturday, and have various surgeries and meetings Friday night and Saturday. Sunday I will be opening the Prudhoe Fair before going later on to the Haydon Hunt Point to Point at Hexham Racecourse. I also have a couple of surgeries exceptionally on Sunday and a number of local constituency meetings planned for Monday. I and others will be raising the case with William Hague when parliament returns. Prudhoe Community Fair this Sunday at noon - come along! This years Town Fair, will take place on Sunday 1st June 2014 in the town centre. I am opening it on Front Street; the event is between 12.00 - 4.00 p.m. Entry to the fair is free of charge. The event will commence with a parade of decorated hats, hopefully, this will be led by the Northumbrian Pipe Band, starting at 11.30. The Glade will be packed with stalls, funfair rides and performances. Like previous years there will be a range of stalls selling all of the things you would expect at a fair, sweets, novelties, cakes, teas, coffee, hot food, crafts, the list goes on. This year I was the judge of the outdoor Agricultural stands and was pleased to meet and chat to so many brilliant stallholders. 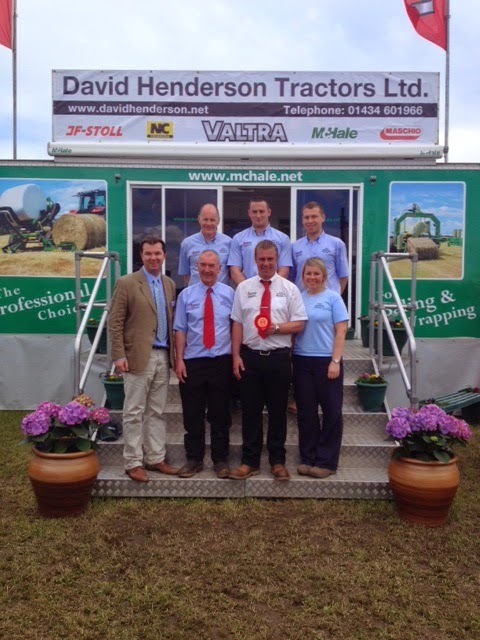 Winner was David Henderson Tractors, who had worked for days to make their stand literally gleam - never before have I seen tractors and farm equipment look this smart! And all this after a downpour and huge problems getting the equipment on site. They were a great team and were enthusiastically selling and showing off their wares in a really positive way. In second place was Kirkley Hall College, who combined so many elements of the college in their stand, whilst the NFU once again put forward a great stand - full of animals, produce, hands on experiences of farming and so much more. My thanks to my faithful sidekick Susan who kept me in order and helped the job fly by. On the whole the day went off without a hitch, albeit there were some problems getting in to the site early on from the Stocksfield side. I am certain that the team will learn lessons to make it even better next year, but noone could fault the size and scope of the show which goes from strength to strength. I spent the whole of the rest of the day at the show taking in all the events and attractions, and going from stall to stall chatting and meeting people. Finished off as usual in the Haydon Hunt Beer Tent. A great day. 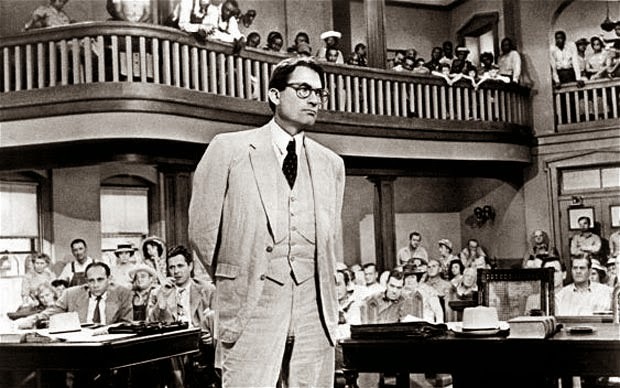 Michael Gove is Not "Killing A Mockingbird"
Atticus Finch is one of the reasons I became a Lawyer. The novel To Kill a Mockingbird is a classic in so many ways - a portrait of the race struggle, of childhood, of justice denied, and of the courage of your convictions. I have read it many times. It is an old friend. A return to British Rail? Labour plans to renationalise trains - what are the consequences? - doubled the number of rail journeys by rail users. Ask any train professional and they all say the same. The state has a poor long term record of running railways. British Rail was a disaster. All the track, signals, train pathway timetabling and stations are owned by a monopoly business largely financed by taxpayers and entirely owned by taxpayers. The train companies lease trains and run services over the nationalised tracks under strict controls from the Rail regulator and the Transport Department. They have to conform to five year centralised plans, and they gain near monopoly rights to use given regional track systems. The only element of competition in the whole thing is the competition for the franchises. The majority of the revenue to sustain Network Rail comes in the form of taxpayer financed subsidy. When the railways were privatised a two tier structure was set up. There was a privatised monopoly track owner, and regional monopoly train franchise holders. This greatly limited the amount of competition introduced by privatisation, but even this limited competition administered a shake up and reversed . Today the East coast mainline franchise is run as a nationalised monopoly, and Labour is looking at doing the same for some of the other franchises as they expire were they to win the next election. That would be a good way to stop the modest cost and price competition we currently enjoy and would help limit innovation. For four decades a fully nationalised and integrated monopoly industry presided over large cash losses for taxpayers, high and rising fares, declining train usage, little innovation and poor service levels. Why would a future completely nationalised BR be any different? Simple question: are we all prepared to pay more to run the new British Rail? And will it be better. I know of no person who works in the rail industry who supports a return to British Rail. Labour is clueless as to how to pay for this, and naïve to expect a better service. Fares for commuters on crowded routes into our main cities are too high and service levels not good enough. Too many cross country and mainline express trains fail to attract nearly enough paying passengers, whilst a limited number of trains and routes beyond the commuter lines suffer from overcrowding. We need more innovation, not less, more competitive pressure to do more for less as the airlines have done, new thinking on how to improve service and allow more of us more of the time to choose the train for our travel. That requires a more competitive industry with more private capital and management, not a return to BR days. Where challenger railway companies have been allowed they have helped lower prices and improve the range and quality of services. It was a tough night for the Conservatives on Sunday, losing our hard working MEP Martin Callanan by a few votes. 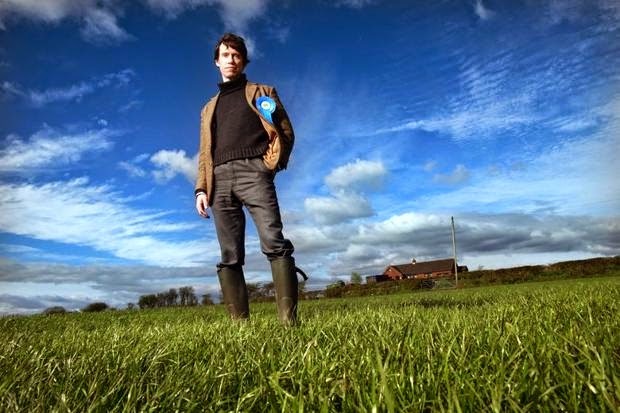 The only consolation to the Euro result locally was that in Northumberland, the Conservative vote actually increased on the Conservatives' high watermark of 2009 - in both real terms and percentage terms. In Newcastle we also managed to win more votes that we did in 2009, even beating the Lib Dems who ran the Council up until 2010. Overall the Conservatives chalked up 107,733 votes in the region - don't let anyone say there are no Conservatives in the North East! In the end Labour now have 2 MEPs and UKIP 1. In local government it was a real mixed bag. In Newcastle Labour actually lost a seat to an Independent, and in Sunderland they lost one to the Conservatives. Just like in the County Council elections last year UKIP didn't win a single seat on any of the five Tyne and Wear Councils up for election. In Newcastle we have been helping the Conservatives rebuild themselves in the West Gosforth ward, using some of the tactics we have successfully applied in my own area. I am pleased to say in West Gosforth we managed to hit all of the targets we set; we increased our popular vote, increased our share of the vote, retook second place, and more than halved the sitting Lib Dems majority. In a ward the Lib Dems not so long ago won with 62% of the vote they scrapped home on Thursday with just 38%. As I have so often said, it is all about the long term, and I hope we can expand this project in other areas over the coming years. For the Lib Dems perhaps the less said the better... The Lib Dem vote fell 66% in the North East – from 103,000 in 2009, to just 36,000. 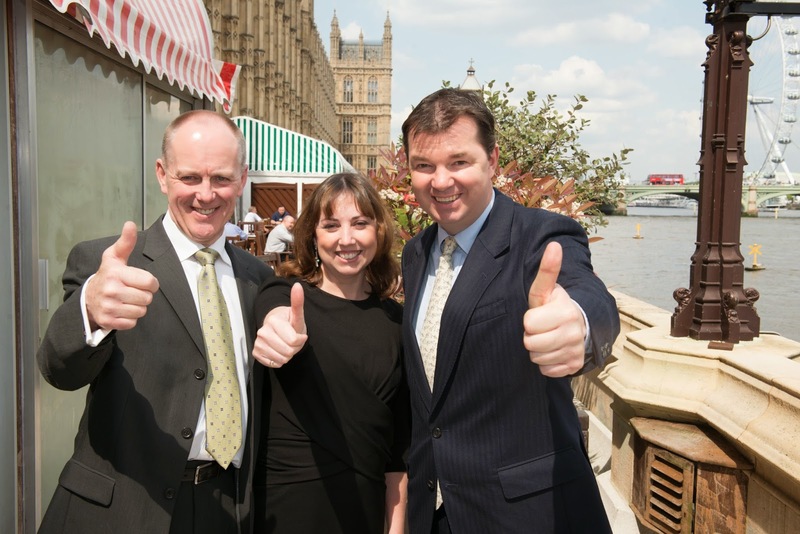 I must also put on record my thanks to my excellent professional campaign team Cath and Callum. They really did lead campaign for the Conservatives in my patch and in Newcastle. Be it sunny Saturday afternoons or 5am starts on Polling Day (in torrential rain! ), they have led from the front and I couldn't do it without them. 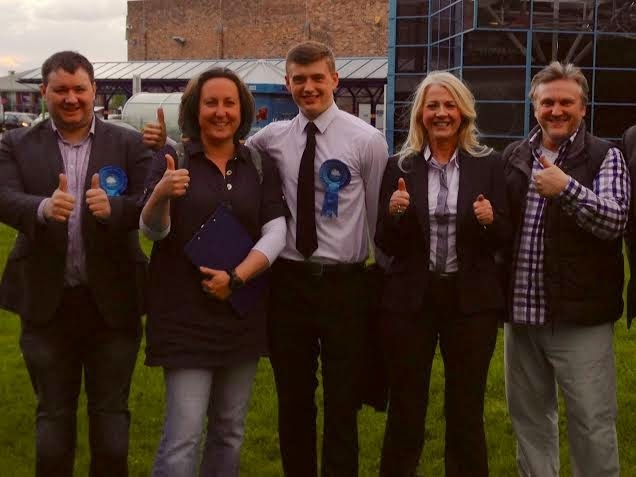 Cath and Callum with Anne-Marie Trevelyan who is working hard to win Berwick in 2015, along with Barry Flux and Wayne Daley our two excellent Councillors in South East Northumberland. I am heading back to Westminster today but getting off the train at Newark North Gate, to help in the Newark by election before travelling on to the office. The Newark by election is on Thursday June 5th and I am really impressed with our candidate - Robert is very active on the ground as a candidate and well known already. Off to the County Show all day today - come along! Who takes over in Afghanistan really matters, both to the Afghans, but also the wider region as well and to us in the UK. The election saw no one win 50% in the first round. But how this country goes forward is vital to the stability of the region and the growth of democracy. It is a wonderful thing that Iraq and Afghanistan now have democratic elections not dictatorships. Also every one of our brave troops who fought so long to return this country to democracy will want this beautiful country returning to normal life, normal elections and a decent role for women. It is a great feature of these elections that not only did women take part but they ran for many of the seats. The election is a bit like the French election in that many candidates vie for the top two spots and then those 2 candidates have a run off to be President. The development last week was that the Afghan presidential election front-runner, Abdullah Abdullah, won the backing of a key rival, Zalmai Rassoul; Rassoul did not do enough to make the last 2 even though he was the successor favoured by outgoing President Hamid Karzai. As every politician knows being anointed as the favoured son / choice of the outgoing PM [or Speaker] of whatever country is normally a certain way to lose support. Rassoul duly did not make the final 2. He has now pledged his support for Mr Abdullah, the top candidate from the first round. The second and final round, due in mid-June, pits Mr Abdullah against Ashraf Ghani, a former World Bank economist. The vote comes as international forces prepare to leave at the end of 2014. Millions of Afghans defied Taliban threats to take part. The scenes and commitment to voting is something truly special. I love in particular this iconic picture of Afghans queuing in the pouring rain to vote. Subsequently this was reported at length in the Hexham Courant and Morpeth Herald and Pont News and Views. "I held a debate involving four high schools—Haydon Bridge, Ponteland, Prudhoe and Hexham—on that particular issue last month. It was won by Ponteland high school, whose students proposed the motion for 16-year-old voting, and who also swayed quite an elderly audience—with respect to them. I accept that my hon. Friend is my former boss, and normally I would obey everything he says, but on this issue, does he not accept that to a degree, whether or not the argument is won today, the tide is beginning to turn a little?" The debate is good and I am moving form being against the idea to being persuaded, like the audience marginally in Ponteland, to be in favour. The Market is from 9am in Hexham and equally worth supporting is the Bellingham Fair, which has lots on all day for all the family. Election Day today - Make sure you vote! This election does matter. I want you to vote Conservative .... but whatever happens make sure you vote. All our grandparents fought so that we had the right to do so. I have relatives who died at Dunkirk, protecting our right to democracy. These last 3 months I have been out campaigning for tomorrows European Elections in Newcastle and all across Tynedale for local man Martin Callanan. He is well known and I am encouraged with the responses on the doorstep. Martin is doing a great job at making the case that we need a strong voice in Europe, to reform and change the EU, so that it works for Britain. - as well as being a Gateshead councillor, before being elected to the European Parliament in 1999. Since then he has been a strong Eurosceptic leader of the Conservatives there, and has a proud record to take to the electorate. 1. We have cut the EU Budget ....The first time this has ever been done! 3. We have committed to an EU Referendum .... no one else can deliver this. Labour and the Lib Dems have blocked this in Westminster. If you want a reformed EU, with a locally born, pragmatic, tax cutter as your representative then I urge you to vote for Martin. Northumberland County Show this coming Bank Holiday Monday - you have to come! There is no show like it! 300 Trade Stands, dozens of events and more animals than you can name - from Lambs to Llamas; there is lots of entertainment, and a wealth of food and drink places and loads more parking this year. I am judging the Indoor Trade Stands this year so you will see me in the tents all morning. This is a great day out for all the family at Bywell. Come along and support your show. - visiting a couple of first schools in Greenhead, Henshaw and Beaufront. There are 4,844 good reasons why each and everyone one of us in the Tyne Valley should get involved in Dementia Awareness Week, which runs from 18th-24th May. I say this because that is the number of people in Northumberland who are currently living with dementia. One in three people over the age of 65 will develop dementia, and as a local MP, all too often I see first-hand the devastating impact the condition has - not only the person with dementia but their family, friends and carers too. The fact that there are more and more people locally who are living with dementia puts into perspective why there is a duty on us all, and society as a whole, to act. Across the UK, on average less than half of those people have received a diagnosis. Diagnosis is the key that unlocks access to support services. There are many reasons why people may afraid to ask their GP for a diagnosis. They may feel scared, confused or even ashamed. But the sooner they know what they're dealing with, the sooner they can get on with their life and feel in control again. That’s why Alzheimer’s Society – the charity behind Dementia Awareness Week – is using the week to encourage people to 'open up' and talk. They want anyone who is concerned to talk to their doctor, their family, but also to come and talk to Alzheimer's Society. I’m doing my bit for Dementia Awareness Week in Corbridge this week, and that is why I’m challenging readers to do the same. A whole host of activities will be taking place across th region to make people aware of the help and support that is on offer if they are worried about their memory, or that of a loved one. From becoming a Dementia Friend to spreading the word on social media, there are lots of small ways that we can all make a big difference for people in our local community this Dementia Awareness Week. Corbridge is leading the way as I will be seeing this week but other communities need to follow suit. There is much that we can do locally. There is much that you personally can do. Since 2010 the number of Apprentices has doubled and become a new norm for school leavers. However, I know that locally when I talk to small businesses who haven’t yet taken the plunge and hired an apprentice their main worry is whether they’ll be buried in paperwork. The good news is that under this Government employing an apprentice is now simpler than ever. Not only that but we have also put employers in the driving seat of designing new apprenticeships so that in future they will work even better for both employers and apprentices. If you want to read more detail about the effectiveness of these reforms, the Minister’s latest speech on apprenticeships, may be helpful: https://www.gov.uk/government/speeches/apprenticeships-training-young-people-for-jobs-of-the-future. · 1.7 million apprenticeships have been delivered, and we are on track for 2 million over the course of this Parliament. · There has been an increase of 103,300 in the number of employers taking on apprentices since 2009/10 (representing an increase of 45.2%). · And, the number of high quality, full apprenticeships has doubled among young people aged between 16 and 18, from 53,600 in 2009/10 to 110,900 in 2012/13. The next step in this process is reforming the funding of apprenticeships so that employers can take the lead on both standards and training. This will mean that colleges, training providers and universities will need to provide the training employers need to fulfil the standards they have set. It will also dramatically simplify the funding rules and processes. The Immigration Bill receives Royal Assent this week and builds on our reforms to the immigration system and will have a major impact on the Home Office’s work to secure our borders, enforce our immigration laws, and continue to attract the brightest and the best to the UK. · correct an anomaly in nationality law to enable certain children born before 1 July 2006 to a British father but whose parents were not married at the time to apply to be registered as British citizens and acquire their father’s British nationality. This rectifies a historical anomaly and provides all children with the same rights, irrespective of whether their parents were married when they were born. These changes continue our reforms to build an immigration system which works in the UK’s national interest. We are stopping migrants using public services to which they are not entitled, reducing the pull factors which encourage people to come to the UK for the wrong reasons, and making it easier to remove people who should not be here. Net migration from outside the EU is now at its lowest level since 1998. At the same time, we continue to welcome the brightest and best migrants who want to contribute to our economy and society and play by the rules. There is still work to do to clear up the mess we inherited from Labour – but the Immigration Act is a significant step along the way: it will put the law firmly on the side of people who respect it, not those who break it. I have spent the best part of a year as a small cog in a larger wheel bringing about these changes. The Bill was supported across all aspects of House of Commons. The MP for Penrith, the Borders, Alston and Brampton has won the support of the House of Commons to lead the Defence Select Committee; this is a job which matters, and has genuine influence. It's job is to hold the government and the Armed Forces to account. To ensure that we are maximising our resources, which for a long time have been affected by the debt the Labour government left us, is not an easy task. It also needs to advise government on future planning, and criticise where necessary. It needs to be cross party [as all select committees are] and needs to challenge orthodoxy. In that respect the House of Commons have chosen well - in a secret ballot. Rory is a genuine character, but very bright, well travelled and with a bigger understanding of the world we live in than most ambassadors. He has worked in everywhere from Afghanistan to Iraq. He is also a proper countryman, and one of the most fascinating of the 2010 intake - which is certainly rich in characters. He will do a great job. He certainly has my full support and I am pleased that we have a Northerner representing the role. It will make a difference. Two weeks ago I was pleased to attend the National Countryside Alliance Awards, also known as “the Rural Oscars”, held in Westminster. Not only was this a fantastic celebration of vital rural business but I was on hand to witness two of our home grown success stories being recognised. Bardon Mill Village Store and Tea Room, opened only last year by Michael and Dawn Smith [pictured with me], was a finalist in the competitive “Village shop/post office” category and our very own Blagdon Farm Shop won Highly Commended in the Butcher Category. This is not the first time Simon and his team at Blagdon Farm have been recognised for their hard work and high standards: their apprentice Daniel was recently honoured at Butchers’ Hall in London. and enjoy what we have to offer. My congratulations go to Michael, Dawn, Simon, Daniel and everyone who contributed to the success of our local winners. 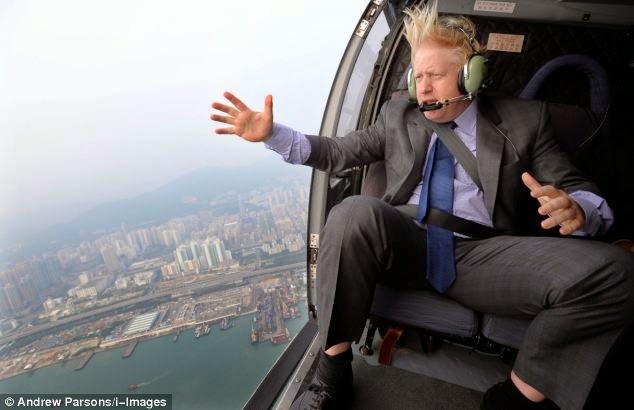 The tale of how he persuaded Boris to lean out of the helicopter above Hong Kong is one of my favourites. of the photojournalist. Well worth a visit. India first: my intention is to blog the 2 upcoming elections that matter so much to all of us both here in the UK and across the world. Let us start with India. My prediction is that Modi will win in India after the biggest election in history: it has lasted 6 weeks and seen roughly around 500 million voters. The BJP party in India is led by Narenda Modi. The 63-year-old has played down his party's traditional commitment to religious and cultural revivalism in favour of stressing development, jobs and honest government. Repeated surveys have shown that this is what Indians want, and that many of them clearly believe it is what Modi, who has earned a reputation as an effective if authoritarian administrator, can provide. However, there is no doubt his success will also bring a possible risk of religious divide, which he will need to manage and provide reassurance upon. But if India is to progress and take the next step it definitely needs an administrator. As the BBC puts it - That is fundamentally what the Indians are voting for. My thanks to those who wrote in, from all across the spectrum. No one says the North East is all perfect but I, for one, am pleased to see the Guardian eating some humble pie after their shoddy piece of journalism on the weekend. Bizarre scenes in the Commons yesterday as multiple Labour MPs from all across the country got up to praise free schools: Labour Education shadow, the increasingly bizarre Tristram Hunt had asked for a statement on free schools and education funding. Michael Gove received support from some pretty odd quarters - Labour's Ian Austin MP for Dudley is Gordon Brown's former henchman and led the support for what the DFE are doing. The list of supporters was very long and full of Labour - much to Tristram's upset. In Tynedale we do not have a free school but the changes coming in are still very good. "In my part of Northumberland, we have neither the benefits nor the perceived burden of a free school. We have focused on more primary places; the rebuild, authorised by the Secretary of State, of Prudhoe community high school; the creation of the Haltwhistle academy, the first in my constituency; and the changes to the fairer funding formula, which will for the first time produce enhanced funding for Northumberland. I welcome the changes, I welcome his direction of travel and, in particular, I welcome the changes to the fairer funding formula." "My hon. Friend makes a very good point. Part of the progressive changes that have been introduced by my Department and which have been championed and designed by the Minister for Schools has been an increase in funding for the parts of the country that have suffered in the past. In particular, the delivery of the pupil premium ensures that disadvantaged children, wherever they are, enjoy not only a high quality of education but additional investment in a better future." Equitable Life, Arch Cru and now Connaught. My time in parliament has featured all too many financial disasters that have decimated the finances of constituents. After 20 years and blighted lives with Equitable Life, and 6 long years of Arch Cru victms trying to get some recompense for a swindle that was not their fault, we again have another relic from the Labour years of light touch regulation, with greedy individuals / crooks depriving honest savers of hard earned reserves and investments. - we are developing specific specialisms in sectors that are genuinely transforming the economy - whether it is subsea technology, or our burgeoning IT sector that sees Accenture and Hewlett Packard based in the North East, and running the IT for everything from the Rural Payments Agency to parts of the Universal Credit Roll out. - no one who was at the Dynamo conference 10 days ago in Newcastle could have mistaken the entrepreneurial spirit that was there; our IT sector is genuinely transforming the region, albeit we do need a IT Technical College. I chaired a seminar on regional growth that was buzzing with ideas and expectation. - our job figures are improving across the board, with every parliamentary seat seeing less JSA claimants than before, more people in work, and real apprenticeships doubling. - In my area of Northumberland I opened the Egger Engineering Academy last autumn and have seen its effect in creating specialist engineering jobs. - on Wednesday I will be welcoming the Energi Coast companies and the Subsea sector to Westminster: they are optimistic and hiring. I doubt the Guardian will come to such a good news event or do a story, but one lives in hope. I could go on about the everything from our stunning landscape, to the community spirit that exists like nowhere else in the country. Things are not perfect and there is a long way to go but I am very optimistic about the North East's future. I will await the chance of a rebuttal piece from the Guardian but will lay good odds that they will not be offering. Busy week with Bills to be finished, training for Women to Win, constituents coming to the Commons, and a key meeting with Ruth Davidson, Leader of the Scottish Conservatives and one of the key architects of the Better Together Campaign which is trying to save the Union. On Tuesday I have a series of meetings with various of the key UK ambassadors at the Foreign Office, including the new Falkland Islands Governor. On Wednesday we will be welcoming the Energi Coast and Subsea North East team of businesses to Westminster, led by several of my Tynedale businesses who are genuinely transforming the economy in the North East. The work of PDL and others is the unknown success story of our local economy. These last 3 days I have been out campaigning for the May 22 European Elections in Newcastle and all across Tynedale for Martin Callanan. He is well known and I am encouraged with the responses on the doorstep. Martin is doing a great job at making the case that we need a strong voice in Europe, to reform and change the EU, so that it works for Britain. I could go on but there is only one choice on May 22. If you want a reformed EU, with a locally born, pragmatic, tax cutter as your representative then I urge you to vote for Martin. Lord Myners is not impressed with the current state of the Co-op Group and warns it needs to radically change ‘soon’ or face breaking up. The report suggests there are still ‘deplorable governance failures’ and that the board is ‘still stuck in denial over this near ruinous failure of governance’. The scale of the change required to reshape the group is significant and throughout the report, Myners hints he isn’t confident the group will accept the speed and scale of reshaping necessary. ‘It is one of the great national business calamities and it is being led by a board totally unable – because of a lack of experience – to hold them to account’. To replace the current bottom-up structure — the Co-op has 48 area committees with ~10 members, who in turn elect seven regional boards with 15+ members — Myners proposes a board with six or seven independent directors, two executives as well as a separate National Membership Council, to body to handle the concerns of members. Obviously, the Co-op is a cooperative, which is not necessarily designed to maximise profit. But the report argues that the future safety of organisation’s financial health ‘can only be restored through steady, step by step, rebuilding of the Group’s profitability and repayment of its excessive debt’. For my part I wish the Co-Op well. I am huge fan. But it has been run terribly for some time. There is a massive place for Mutuals, Building Societies, Co-Operatives and Credit Unions as the banks head away from the High Street in particular. But the Co-op is not helping would be applicants or the publics trust by not taking the medicine. The AGM is next Friday at the Pont Memorial Hall. Yesterdays survey of 2400 English, Welsh and Northern Irish firms showed that they don’t want Scotland to quit the UK, according to a poll. A total of 85 per cent say they are opposed to independence, the British Chambers of Commerce survey revealed. £10 per adult £5 per child. To go on foot, push bike or horse around the 6 pubs in our area to promote the 2014 Haydon Bridge Beer Festival 4th & 5th July. All taking part will get 1/2 pint of Real Ale in each Pub (soft drinks for the kids) included in the price. The inquiry into Iraq was initially announced on July 15, 2009 by Gordon Brown, and hearings were finally concluded on February 2, 2011. It has still not published its findings. The Iraq inquiry is not just about Tony Blair. It is about 100,000 dead Iraqis, the 179 dead British service personnel, the mutilation of a nation and the destabilisation of an entire region. And whatever Chilcot reports, neither Tony Blair’s supporters or enemies will be happy. The real reason Chilcot must publish his report on Iraq is because the time has come to draw an official line under Iraq. Iraq is not just a stain on our history – it is a stain on our present. The war of 2003 is no distant abstraction. As the Syria vote proved, it is the prism through which every British foreign policy decision is still viewed. It will continue to distort our vision until we finally deliver some sort of national closure. There is only one way to have that closure. Which is to bring the truth about what happened in Iraq, and the official version of what happened in Iraq, into alignment. Today is packed with debates, meetings with Tom Sefton of the Church of England Credit Union Team, who is I hope helping me with the establishment of a Tynedale Community Bank this morning and several other constituents / key local issues. We also have Justice Questions today and then Scottish Questions and PMQs tomorrow. Wednesday I shall be in the chamber most of the afternoon helping the Immigration Bill through the House. Thursday I shall be running for a train to get home Thursday night with luck. The Help to Work scheme - a new intensive support to get the long-term unemployed into work was launched last week and I thought it would be helpful to send a short brief. A key part of our long-term economic plan is to move to greater employment, making sure that everyone who can work is given the support and opportunity to do so. We are seeing record levels of employment in Britain as more and more people move to the security of a job – but we need to look at those who are persistently stuck on benefits for a number of years. We know that most people move off Jobseeker's Allowance quickly, but there's always more to do, which is why we are providing additional support to the very small minority of claimants who have been unemployed for a number of years. Industry figures show that around half a million long-term claimants have already found work through the Work Programme.The Help to Work Scheme will give jobcentre staff a new range of options to support the hardest to help and provide more support to the long-term unemployed than ever before. • Attending the Jobcentre every day. The daily meeting with their adviser would include discussing the progress made in looking for work, such as the number of job searches or applications made, or new activity to improve their skills base. This support will last for three months and is designed for claimants who are close to the labour market and would benefit from regular support with looking for jobs, including those who need to build motivation, momentum and engagement. Currently, a claimant only needs to attend once every two weeks. Help will be available with travel costs for those who need it. • Community Work Placements. Claimants who lack work experience - and where this is felt to be holding them back from finding a job - may be asked to undertake a placement, which will also benefit their local community. This would include a range of roles in the voluntary and community sector that will give the claimant skills and experience within the work place. This could include gardening projects, running community cafes or even restoring historical sites and war memorials. The placements will be for up to six months for 30 hours a week and will be backed up by at least four hours of supported job searching each week to help turn the experience into full time employment. • Intensive Jobcentre support. For jobseekers with multiple or complex barriers to work the Jobcentre Plus advisors will spend more time with the claimant looking at how to tailor a back to work support, with more flexibility to send people on intensive training schemes, ad hoc funding to overcome issues blocking a return to work such as initial travel costs or suitable clothes for a job interview, and referrals to work experience opportunities with local organisations. This will ensure that they have the skills, confidence and experience to be able to increase their chances of getting a job so that they have the security of a regular pay packet, meaning they can provide for themselves and their families..
Over 70 organisations from the private, voluntary, charity, SME and local authority sectors are already contracted to provide placements for they recognise the positive benefits it has on their organisations, the local community and the jobseeker. This is another important step in turning around the situation we inherited where a million and a half people spent the last decade out of work. The long-term unemployed almost doubled between 2008 and 2010 to 783,000 - we’re helping them, giving new opportunity and new responsibility to people who had previously been written off with no chance. Last week we debated prison reform in the House of Commons and I raised the need for alternative providers. At present, there are only two providers: the state and since the 1990's there are private companies. I want a charity or philanthropic institution to address this problem and take over a lower category prison and provide a different approach. After all we allow schools to be run by charities, businesses and faiths, so why not prisons? This idea I first addressed in 2012 in the Commons and put in my book Doing Time. There is a full chapter entitled "Big Society Prisons". Campaigns take a long time as an MP. You start with a simple idea, but the process of initiating change in a parliamentary democracy does take time. Nothing illustrates this argument as well as Fairer Funding for our schools - knows as the F40 campaign. It is patently wrong that the formula per pupil means that Newcastle schools receive over £800 per pupil more than Northumberland pupils. This, coupled to 3 tier, transport and various complex issues of rural deprivation mean it is extremely difficult to sustain our schools in Northumberland, particularly when compared to other schools budgets. I have visited over 30 of our schools in my patch and am shortly off to revisit Beaufront First School and go for the first time to Greenhead. I am always impressed by the wisdom, hard work and make do attitude of our headteachers and teaching staff. "Many hon. Friends in the Chamber today were with me in the debate initiated by my hon. Friend Richard Graham in April 2012, when we welcomed the Government’s commitment to a fairer formula but bemoaned the lack of a down payment to begin its delivery. It was my hon. Friend Guy Opperman who invoked the Chinese proverb of Lao Tzu, the founder of Taoism, who said that "the longest journey begins with a single step." That single step has now been taken. Many parts of the country can rejoice at that. Of the £350 million targeted at helping the lowest-funded authorities, some £172 million—slightly less than half—is coming to F40 authorities. Cambridgeshire, South Gloucestershire, Northumberland and Shropshire all see gains of more than 6% as a result of the projected allocations and, of 34 current members of F40, 23 are seeing some uplift." Thoughts on the HS2 debate a few days on - in 50 Years time will we wonder what the fuss was about? My question in the HS2 Debate focused on the problem with all large infrastructure projects. "All the northern councils and chambers of commerce back HS2 unequivocally as a source of growth and extra capacity. Is it not the case that all major infrastructure projects are objected to at the time of their creation, and that 50 years on, the objectors fully support what took place?" HS1, M25, West Coast Mainline, East Coast mainline etc etc were all objected to before they were built. All are a big success now and used by millions. Indeed West Coast Mainline was originally defeated in parliament. The arguments for HS2 are strong. We need to think long term. And on the point of whether rail spending is HS2 and nothing else it is true that many people against this project ask “Why not spend the money elsewhere?” This is about spending money elsewhere as well as, not instead of, on this project. "Over the next five years Network Rail will spend £38.5 billion on the existing railway network. That is separate from the money being earmarked for HS2." "I have long been concerned about the use of stop and search. While it is undoubtedly an important police power, when it is misused stop and search can be counter-productive. First, it can be an enormous waste of police time. Second, when innocent people are stopped and searched for no good reason, it is hugely damaging to the relationship between the police and the public. In those circumstances it is an unacceptable affront to justice. Her Majesty’s Inspectorate of Constabulary were commissioned to inspect every force in England and Wales to see how stop and search powers are used. The consultation generated more than 5,000 responses, and it was striking that those on the receiving end of stop and search had very different attitudes to those who are not. While 76 per cent of people aged between 55 and 74 thought stop and search powers are effective, only 38 per cent of people aged between 18 and 24 agreed. While 66 per cent of white people thought stop and search powers are effective, only 38 per cent of black people agreed. The inspectorate reported that 27 per cent of the stop and search records they examined did not contain reasonable grounds to search people, even though many of these records had been endorsed by supervising officers. If the HMIC sample is accurate, that means more than a quarter of the one million or so stops carried out under the Police and Criminal Evidence Act last year could have been illegal. Official figures show that if you are black or from a minority ethnic background, you are up to six times more likely to be stopped and searched by the police than if you are white, and only about ten per cent of stops result in an arrest. In London, thanks to the leadership of Sir Bernard Hogan-Howe, changes to stop and search show that it is possible to reduce the number of stops, improve the stop-to-arrest ratio and still cut crime. Since February 2012, the Metropolitan Police have reduced their overall use of stop and search by twenty per cent. They have reduced no-suspicion stop and search by ninety per cent. In the same period, stabbings have fallen by a third and shootings by forty per cent. Complaints against the police have gone down and the arrest ratio has improved. HMIC‟s study into the use of stop and search revealed that more than half the police forces in the country are ignoring the requirement set out in the Police and Criminal Evidence Act Code of Practice A to make arrangements for public scrutiny of stop-and-search records. This is an important duty that should empower local communities to hold police forces to account, and so I have written to all chief constables and police and crime commissioners to tell them to adhere to the code. I have told them that if they do not do so, the Government will bring forward legislation to make this a statutory requirement. Earlier today I commissioned Alex Marshall, the chief executive of the College of Policing, to review the national training of stop and search with a view to developing robust professional standards for officers on probation, existing officers, supervisors and police leaders. I want this to send the clearest possible message – if officers do not pass this assessment, if they do not understand the law or they do not show they know how to use stop and search powers appropriately, they will not be allowed to use them. The proposals I have outlined today amount to a comprehensive package of reform. I believe that they should contribute to a significant reduction in the overall use of stop and search, better and more intelligence-led stop and search and improved stop-to-arrest ratios. But I want to make myself absolutely clear: if the numbers do not come down, if stop and search does not become more targeted, if those stop-to-arrest ratios do not improve considerably, the Government will return with primary legislation to make these things happen. Because nobody wins when stop and search is misapplied. It is a waste of police time. It is unfair, especially to young, black men. It is bad for public confidence in the police." I have a variety of meetings in Hexham today and on Saturday I will be in Ponteland knocking on doors and campaigning. "It may be unparliamentary, but it bears eloquent testimony to the esteem in which Robert is held." 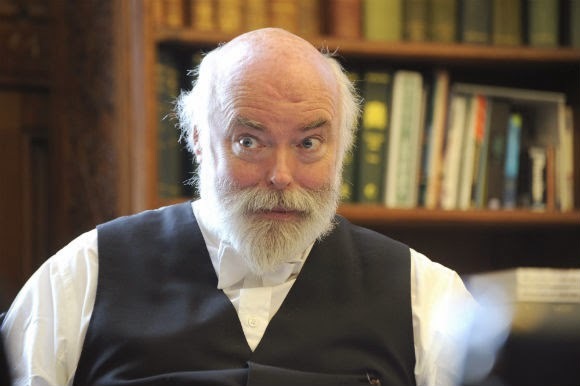 Comment: I have come to know Robert these last few years and you could not get a finer man, a more devoted parliamentarian and a better public servant. He will be sorely missed.